“Quality” has allowed to Antil S.p.A. the widespread of its brand and products in Europe and all over the world. The growing up of attention about International ISO Certification has contributed to increase quality market criteria. Facing this context is necessary for a Company that develops hightly innovative projects. This attitude involves many and daily efforts. We speak about this with Eng. Paolo Crespi, “Quality Manager”. Mr. Crespi has worked during these years following the purpose of the continuous system improvement. Q. Mr. Crespi, how long Antil speaks about certificated Quality? Why have you started? 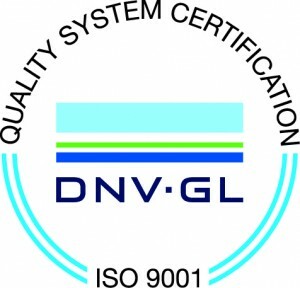 A. Antil has begun to certify its system in 2000, responding to ISO 9001 law. This mark identifies a series of leading rules defining requirements that have to been respected during the production. Law doesn’t specificate ways, working cycles, or timing of production, It establishes only the steps we have to follow. When a costumer buys a system by Antil, independently from its value, he must be sure that we have respected all the processes that led to a compliant result. We decided to get certification for two reasons; the first one is the commercial advantage that we get from it, the second one is that it was the natural consequence of our internal policy. Getting certification has been a choice that followed the activity and policy already present in Antil. Q. The whole manufacturing system depends on International restriction; how is it organized and managed? A. Not only the manufacturing system! Every division has to provide for its own internal rules. The procedures need to be approved, tested and reported in the Quality manual. This had to define in a unique way the steps to follow. Through an ISO certificated system, all the departments (Sales, Technical, Production and Customer Service) have to establish and supervise the right implementation of all procedures recognized as crucial so that the output could be compliant to what is expected. “Has the Production dpt. all the information required to work correctly? Are the planning timing respected? An ISO certificated system has to answer positively to all this kind of questions. The Management Area examines the Company’s business and marketing trend two times per year; this allows to define new goals that lead to innovations and improvement. Q. Certification is a very dynamic matter, always in evolution. After 15 years from the undertaken task, what’s your opinion about this experience? A. When a Company as Antil starts this route, it’s conscious of making a promise of ongoing commitment. This condition brings two consequences; on the one hand it’s like a thorn that keeps us always alert, on the other hand it’s surely a reason that forces us to pay attention to the real customer’s needs and solutions. Our experience during these years is the demonstration that having external and objective evaluations criteria has been origin of continuous questioning and auto-criticism. I think that this aspect is decisive for the growing up in a sector so competitive and qualified as the one where we operate. Q. How do you cultivate the culture of Quality inside your staff? Is it important for Antil? A. Our sector is reaching very high levels of technology and professionalism. International competition is raising the level of quality of services and products put in the market. We’re introducing always new and innovative characteristics in our machines. In this context of continuous development the way imposed by certification is surely helpful to operate with more securities. When we speak of Quality in Antil, we’re speaking of Quality inside every single person, it’s an individual requirement. If Antil wants to offer a product of Quality, it’s necessary that everybody offer its product of Quality. Our administrator, or mechanical, or engineer… everyone of our team has to give Antil an outcome of Quality, an effort that brings Quality. Trying to cultivate the individual culture of Quality is one of our main daily challenge. We pay many attention to respect all the training and security courses, but the key point is another one. We think that for reaching individual Quality, it’s necessary that everybody could understand the importance and the utility of its work, within the wider but united scenery of Antil. Our document “Antil Quality Policy” affirms that it’s important to support: “the culture of Quality, recognizes its origin in the capacity of observing reality and in the growing up of knowledge”. Finally; who get more advantages from certification? A. I’m sure that certification brings benefits to all subjects involved in the manufacturing process, from suppliers, producers to customers. An efficient action planning, applied to every Antil area, leads to valiant outputs. Working with such a method brings within practical consequences and innovative way of thinking. We see product as a whole, not yet as a sum of parts depending only on the individual responsibility of any areas. Quality is a transparent instrument that states our capacity of supplying answers, in a punctual an reliable way, to Costumers needs and expectations. By the way, our specific products features allow Customers to choose their machine consciously. The possibility to evaluate products, thanks to objectives criteria, gives a more defined overview of the international market and its proposals. Interviewee: Eng. Paolo Crespi, Quality Manager, Antil S.p.A. This entry was posted in News and tagged Antil, Automated Warehouses, Automation, Bending Processing, Certifications, Robotics; Quality, Sheet Metal. Bookmark the permalink.